In 1848 Liszt made the controversial decision to give up a highly successful and lucrative career as a touring virtuoso to take up full-time the role of Kapellmeister of the small, Weimar court orchestra. His critics could not have known that he was about to embark on arguably the most fruitful period of creativity of his entire life. 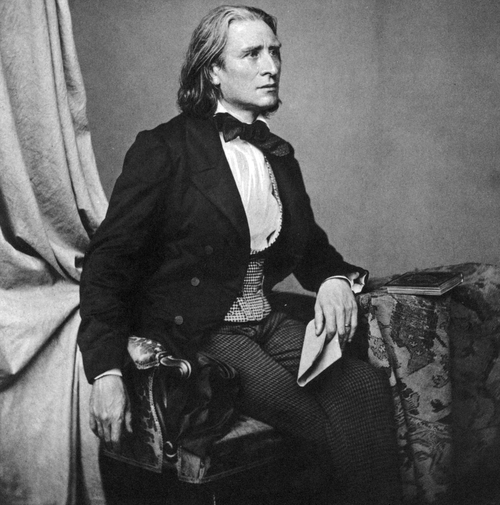 The symphonies, symphonic poems, piano works and oratorios from that period are now well known,but Liszt’s work as director of the court theatre and his contribution to the history of opera are still largely unfamiliar. In many ways, Liszt and Weimar were unsuited. The traditions of the court were stuck in the past, particularly in their treatment ofmusicians. Liszt saw artists as priest-like figures with an important role to play ineducating society. Grand Duke Carl Friedrich, on the other hand, saw artists as members of the payroll.They were required to wear uniforms, they would fulfil commissions for court birthdays, anniversaries and other celebrations, and they would entertain the court or give music lessons when desired. In this respect, Liszt’s position was not so different from Haydn’s at the court of the Esterházy family almost a century earlier. Nonetheless, Liszt insisted on retaining the title, Kapellmeister in Extraordinary, which allowed him some freedom from Weimar. He described his position as ‘voluntary’ and only received a modest, sporadic salary. All of this allowed Liszt freedom from Weimar for extended periods when he would leave the theatre in the hands of a deputy. Despite quarrels with other members of the artistic staff, the mediocre orchestra and dismal chorus (amusingly described by Berlioz in 1841 as‘a rabble of unimaginable incompetents, bawling their way through the score with a contempt for the conventions of pitch and rhythm such as I have never heard equalled’) and despite the miserly attitude of Grand Duke Carl Friedrich towards funding the arts, Liszt’s achievements were considerable. He took risks in programming new works, providing an important platform for contemporary composers. The premiere of Lohengrin was given by Liszt in Weimar at a time when Wagner struggled to persuade theatres anywhere to stage performances of his work. Liszt also gave early performances of Tannhäuser, Der fliegendeHolländer, Schumann’s Manfred, Genoveva and Scenes from Faust, and Berlioz’s Benvenuto Cellini among many others. Perhaps less well known is the role Liszt played in nineteenth-century Gluck rehabilitation. Wagner, Berlioz, and Strauss are often associated with 19th-century Gluck revivals. Nonetheless, Liszt mounted an earlier revival of Orphéein Weimar,“updating” the opera with his own music, whilst at the same time attempting to stay true to Gluck’s orchestration choices and style. In his published writings, Liszt was also an early voice in the growing ‘authenticity’ movement, and he was instrumental in publicly decrying outdated performance practices, such as entr’actes. In the 19th century it was common for a soloist or an orchestra to play a short movement in between the acts of a play or opera, whilst the audience happily chatted away. Liszt, having experienced this from the perspective of both performer and conductor, despised the practice. Perhaps most importantly, however, he contributed to increased rigour in performance standards with his meticulous rehearsals. He took piano rehearsals, coaching the singers individually, he took sectionals at time when this was uncommon to say the least, and he worked closely with the Regisseur and the composer (where possible) overseeing almost every aspect of production.All of this repositions Liszt as a formidable influence on theatre practices whose legacy deserves to be reassessed.